Unity recently released a guide to moving from internal game engine technology to third-party middleware like Unity. Below we’ve listed the top ten takeaways from the white paper on why you should consider the engine, and how moving to the tech may not be as challenging as you may think. The full white paper can be downloaded on the Unity website. Unity is ideal for developers who want to focus their time on making games and not have to worry about spending their development time on creating tools. Studios like Hibernum Creations, which used Unity to create Fruit Ninja Kinect 2, was able to focus more on gameplay and the fun factor, rather than the tech. “The core experience is critical to a great game, and with Unity as our development platform, the teams can now increase the focus on that important aspect of a game,” said Hibernum tech director Mario Lefebvre. “Using other solutions in the past we had the burden of developing all the tools we needed." The costs of game development can sometimes rule out taking creative risks, particularly at large, triple-A studios. Building your own tools for an experimental project can, in the long-term, prove to be a less costly and less time-effective decision should the ideas not pan out. It was an issue faced by Creative Assembly when it began development of Total War Battles: Shogun for mobile, a platform it had not developed on before. To get a prototype up and running quickly, the team used the Unity game engine rather than in-house technology, as it’s ideal for quickly iterating on ideas. Square Enix Montreal also harnesses the Unity engine to support its prototyping phase, even when making console games on its own tech. Unity can be used for all kinds of games, including those seeking to achieve triple-A quality. Ubisoft Blue Byte was tasked with delivering a polished action game with Assassin’s Creed Identity on mobile, and had to meet the high expectations that go with the series on more constricting hardware. 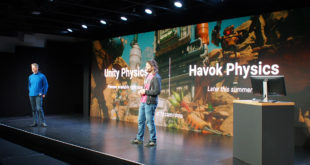 As none of Ubisoft’s existing internal tech supported mobile in an appropriate way for an animation-heavy 3D game, the team decided to use Unity. 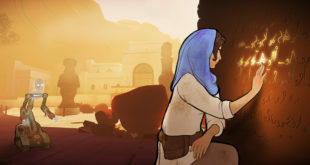 “I think that the main reason we chose Unity was that the engine has a very powerful animation system, and we were making an animation driven game,” said Ubisoft Blue Byte senior lead programmer Christian Schell. Unity doesn’t charge on a per-title basis, and it takes no revenue or royalty share from games that harness the engine. Instead, its licensing options come in two simple forms, the completely free Personal Edition and the $75 a month Professional Edition. The latter gives developers access to Unity Analytics Pro and Unity Cloud Build Pro, to name just a couple of the many extra services. Unity’s suitability for quick prototyping is already well-known in the game industry. The tech is ideal for the more visually-minded developers, artists and designers who now don’t have to worry about inaccessible technology, and can now work at speed on their own ideas themselves. Iterating on ideas is a key benefit, something that is not always afforded on in-house custom technology. These efficiencies in development have been key for studios like Ubisoft Reflections and Blizzard. “The iteration speed is brilliant, especially on a smaller project,” said Reflections producer Peter Young. “The build iteration time was brilliant, as was the build-edit-continue loop. Being able to edit live in your game environment works really well for us too, it proved very efficient for us." While adding support for new platforms to an in-house game engine can be a chore, Unity’s cross-platform support makes these issues a problem of the past. The tech helps keep your options open when identifying target platforms, and can make developing for new hardware relatively cheap to pursue, particularly compared to the same process on custom tech. For small developers, ensuring your game gets in front of as many consumers as possible can be key, and Unity provides an affordable, quick and easy solution for doing so. A third-party game engine like Unity offers the potential for a plethora of developers from its proactive community to help you out with the problems you face, whether it’s some troublesome code or you’re looking for examples of what you’re trying to create. Unity also provides a wealth of resources explaining just how the tech works, while an in-house support team is always on-hand to answer developers’ questions, however complex. If you’re already using a custom game engine, moving across to new tech can be challenging. But with Unity, developers can re-use much of their technology, whether it’s assets, game logic, animation files or other fundamental tools for your specific needs. Ubisoft Blue Byte was able to re-use some of the high-res assets from its existing asset pool for Assassin’s Creed Identity on mobile, and much more. “We adapted textures, used the same sound pool, and I think we reused all our animation files, but of course we had to re-skin them,” said Ubisoft Blue Byte technical director Achim Moller. The quicker you can get your game to market, the sooner your revenues can come in. Though no one wants to rush their game, a quick and efficient dev cycle without the development pains some tech can bring is ideal. Square Enix Montreal was able to ship Hitman Go’s first iteration within ten months, with Unity playing a key part in getting to market so quickly. Hibernum tech director Mario Lefebvre meanwhile said Unity removed many of the technical risks, with the ability to quickly prototype new ideas helping the team make a decision on what kind of game to make, and what the most important features would be. With an internal engine, many studios need a team of engineers ready to update and maintain their proprietary technology. With Unity however, these engineers can provide their teams with other services, such as extending Unity or devoting their time to the rest of the pipeline, rather than having to maintain a custom engine. The Unity Asset Store can also offer cost and time-savings. Ready-built assets and tools means your team members can focus on other key areas. New hires can also be brought in with knowledge of Unity, without them having to learn how to work with a new piece of tech from scratch. 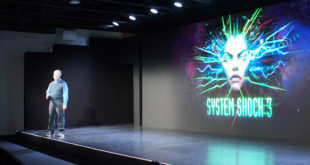 “What we have done now is take some R&D engineers and have them build tooling around Unity, either migrating our existing modules into Unity, or helping the Unity workflow on things like the build system,” said Frima CTO Luc Beaulieu. “Overall, from two years ago, we have a few less engineers in R&D, since using Unity." You can download the full whitepaper, A Guide To Moving From Internal Game Engine Technology, from Unity’s website.